Late Tuesday evening, I hit the send button. The celebration began. Another huge milestone was complete. My manuscript was off to editor #2, the Copy Editor (the first editor was the Content, or Story, Editor). 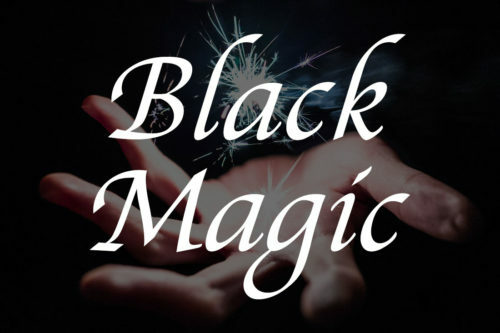 While the Content Editor made suggestions about the story and characters, the Copy Editor focuses on the technical details of writing: spelling; grammar; sentence structure; flow; rhythm; and punctuation. She will return the manuscript to me December 21 (Merry Christmas week!!!). Once I review her suggestions and make changes, we move to proofreading (a third editor looking for any final changes) and then on to the layout process itself. So I get to kick back for the next two weeks, right? (1) The marketing blurb has to be completed. (3) And, believe it or not, the outline for the next novel roughed out. That’s right, I am already hard and work on my next novel, Lost and Found. You can even get a sneak peek at the first few chapters in the back of The Lottery when its released in late January. Want to be a part of the launch of my debut novel AND get a chance to read The Lottery before everyone else? If so, you want to be a part of The ART – The Advanced Reader Team. And how do you join The ART? Step one is you must be a newsletter subscriber (subscribers are receiving information now). Click here to subscribe today. Once you have subscribed, I will send details about how you can join The ART. No cost. No obligation. All opportunity. Speaking of the newsletter, I have some changes planned for the website over the next 60 days. 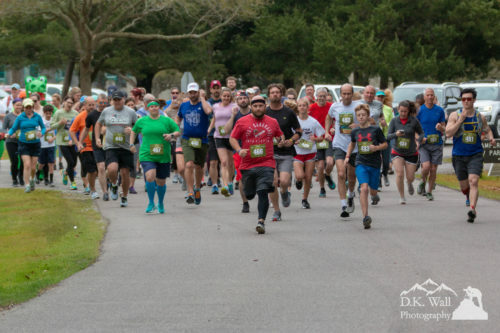 Monthly Update moves to the newsletter – Yes, this will be the last full-fledged monthly update that I post on the website. The monthly newsletter will take over that role. I decided to do that because (1) they are really duplicative efforts and (2) most of the people who want monthly updates are already subscribed to the newsletter. If you want to continue receiving the monthly update, simply sign up for the newsletter. If you don’t want to read it, it will not clutter the website (not that you would know because you aren’t reading this either). More new short stories and photos – The time I save by not reproducing a monthly update for the web will be dedicated to producing more short stories and photographs for the website. 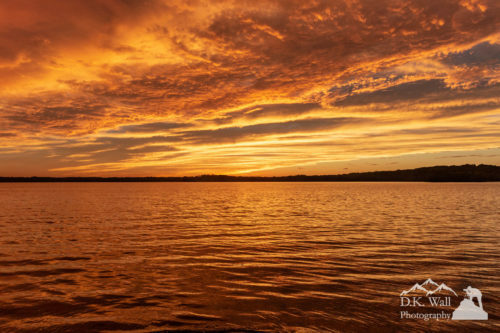 I have come to realize how much time publishing books takes, but didn’t want to lose the fun of producing my micro short stories and sharing photographs. When a new post goes live on the website, I will notify newsletter subscribers and share across my social media accounts. The book section will go live on the website – To promote my books, a new section of the website will go live in January. It will list all of my books, links to buy them, and updates on the next book to come out. When it is first appears, it will list The Lottery as well us updates for Lost and Found (Ha! There is the first public mention of book number 2, due out in the summer of 2019). The front page of the website will be updated as well to highlight the book section. 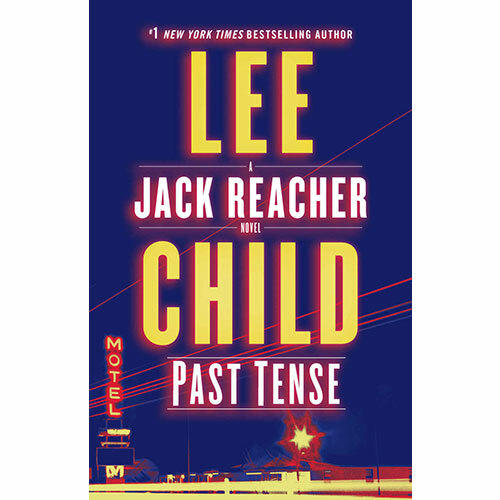 Books Read will be updated throughout the month – Rather than waiting for the end of the month to publish a list of books read (like below), I will update the website as I finish each book. I already share that information across my social media accounts and those shares will now link back to the individual listings of what I am reading. 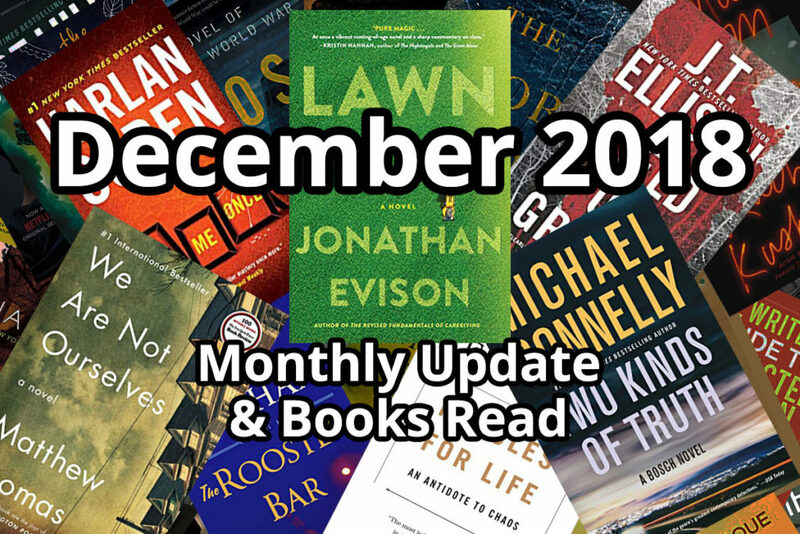 Newsletter subscribers will continue to get the list of books read in their monthly summary. This will be the first change you see as the first book is ready to be posted this week (but I had to finish this update first). And that brings us to Books Read for the month of November! First, a confession. I have failed. There is no way I will reach 100 books read for the year. With 88 read through the end of November, lots of publishing deadlines to meet this month, plus the holiday season, I simply will not finish a dozen books in the month. So be it. Really. It’s just an arbitrary number and I am having a blast reading 1-2 books a week. I read 102 books in 2017 and will end up in the mid 90’s for 2018. That’s good enough. 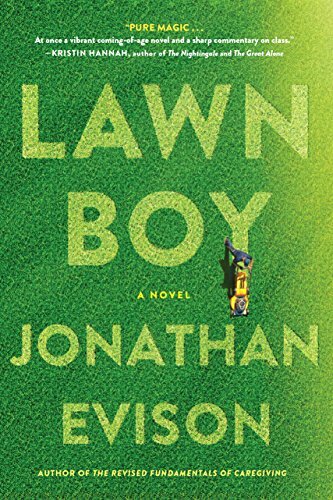 Jonathan Evison – Lawn Boy – To simply describe what the book is about would make it seem dry (certainly lots of “well-meaning” books are). Yes, the story dissects racial divides (Mike Muñoz is half-Mexican, half-white working in landscaping with Mexican co-workers and white bosses while living on an Indian reservation with his white mother and her black boyfriend). And, yes, class divides are highlighted (they are, after all, maintaining the yards for wealthy people). But the book doesn’t take the easy way out. The “protesters” and “social warriors” come across as well-meaning, but privileged and out-of-touch with the real issues facing Mike and his friends. 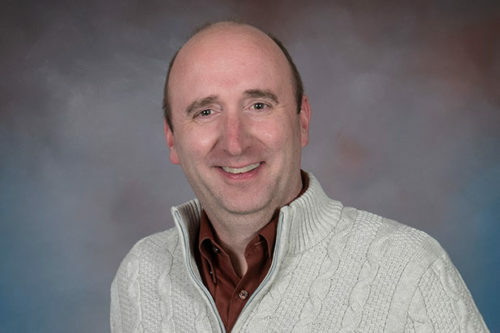 The “wealthy” businessmen come from Mike’s economic background, are struggling to find their way themselves, and are often good teachers to Mike. 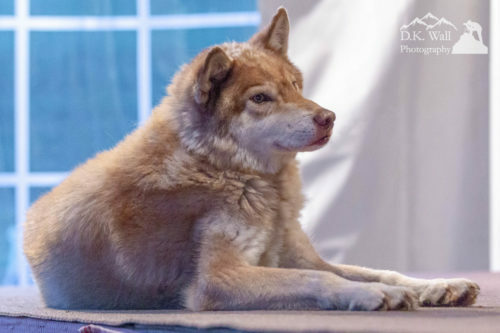 The bigoted best friend, who has an amazing knack for labeling every person he meets with the most offensive label possible, is also loyal and more tolerant than he appears. Those contradictions carry to the protagonist himself. He is both hard-working and his own worst enemy blocking his path to success. He makes some incredibly painful mistakes and is quite hard on himself. J.T. 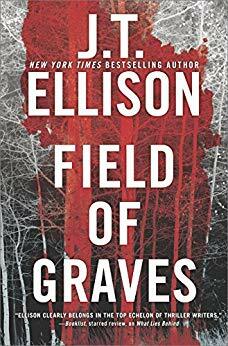 Ellison – Field of Graves – Ellison’s first published novel, All the Pretty Girls, introduced us to Nashville Homicide Lieutenant Taylor Jackson and her cohorts. She had previously written Field of Graves, the real beginning to the story, but it was never published. 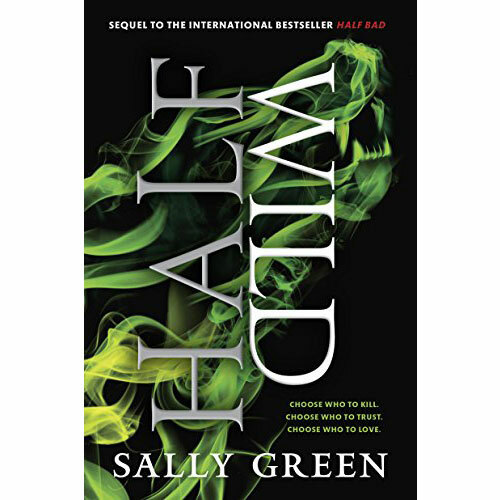 If you have read any of the series, this is a great book to go read to discover some of the details hinted at in other books (such as that scar on Jackson’s neck). 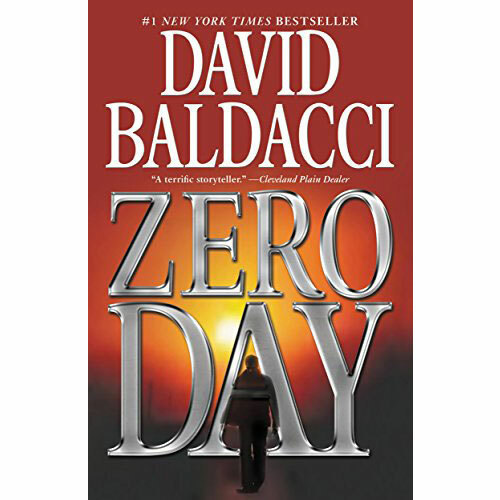 And if you have never read the series, this is a great place to start. I’ll admit that part of the allure to the series for me is the backdrop of Nashville, a city I spent my summers growing up. My grandfather’s house was out on Hillsboro Pike (back then, way out, now it seems close to the city). The neighborhoods, landmarks and locations Ellison describes come alive in my memories. 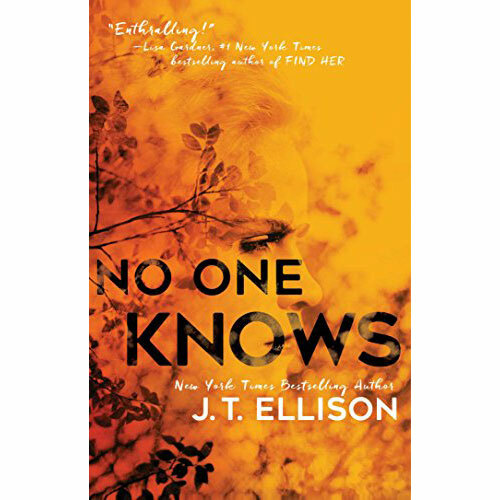 But even without the city connection, Ellison’s writing style is superb and the characters come to life. 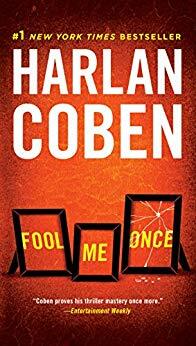 Harlan Coben – Fool Me Once – Maya catches a glimpse of her dead husband on her nanny cam, but did it really happen? She was there when her husband was murdered, so she’s sure he’s dead. Has someone crafted a fake and, if so, why? Or has her PTSD from her Iraq experiences created an illusion? To add to the mystery, her husband’s violent death isn’t in isolation. Her sister was murdered. And her brother-in-law died years earlier. Are the deaths connected? And are there more deaths? In typical Coben fashion, there are so many suspects in this one. And so many secrets. I do enjoy Coben’s stand-alone novels. 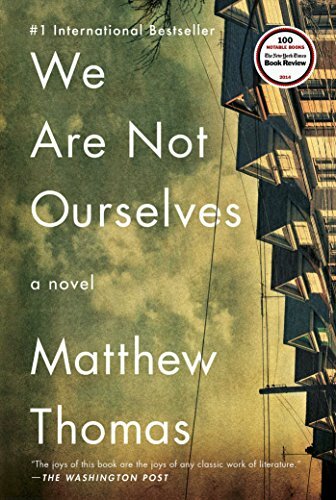 Matthew Thomas – We Are Not Ourselves – Ever read one of those novels that you didn’t really enjoy at first, but then it keeps popping up in your head after you are done? Well, this is one of those for me. The book covers a lot of ground – an entire life from birth to death with even a little bit before and after that. The characters are not particularly enjoyable to be around, but nor are they people to avoid. They are just people – warts and all. Sometimes they do really stupid things that make you groan. And sometimes you ache for them to get something right. 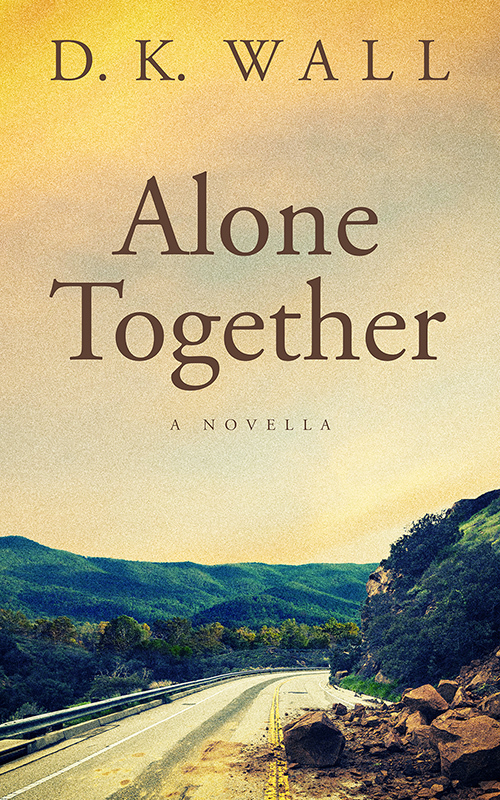 The story is about love, marriage, family, heartbreak, disease, birth and death. So, yes, it felt overwhelming at times. But, then, it just has stuck with me. Bothered me. Worried me. Made me think. And I really like that. 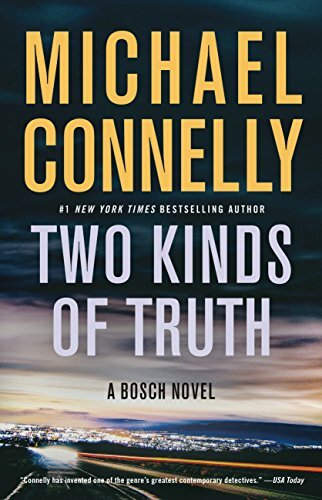 Michael Connelly – Two Kinds of Truth – I’ve said it before: I love Harry Bosch. He is one of my favorite detectives out in the literary world. You probably already know who it is – or you don’t read crime detectives. This novel continues the fine tradition. Harry Bosch is back along with Micky Haller (aka, the Lincoln Lawyer) with multiple cases at once. A double murder at a local pharmacy leads to the harrowing world of opioid addiction. An old case from Harry’s early years raises questions about the conviction. And he searches for a woman missing for years. If you like detective series, read Connelly. 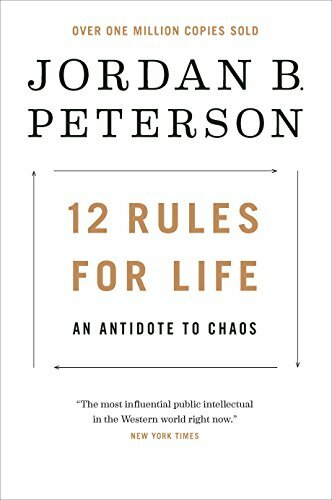 Jordan B. Peterson – 12 Rules for Life: An Antidote to Chaos – Let’s get this first part out of the way: The author is a controversial figure and many of you probably had a reaction to seeing his name. Here’s the thing – I read people I agree with and people I disagree with. Michelle Obama’s Becoming is on my to-be-read list and I expect the same visceral reactions to that, just from people on the other end of the political spectrum. A number of years ago, before he rose to fame (or infamy, depending on your perspective) Peterson posted a list of rules for life on an internet message board. A lot of discussion followed and he edited the list several times. The end result was a fairly straightforward list of “rules” – some commonsense and some a little more challenging to understand. He based the list on his education (he is a professor) and his clinical practice. With his notoriety, he was approached to turn his list into a book. To do so, he pared the list down to a dozen and then wrote extensively about each one. He wraps in major philosophers, historical figures, biblical verses, and literary references to make his point. The end result is an intellectual yet verbose book. In my opinion, it is worth the time and effort to read. Even if you disagree with him on some issues, I think you will gain an understanding of where he comes from. 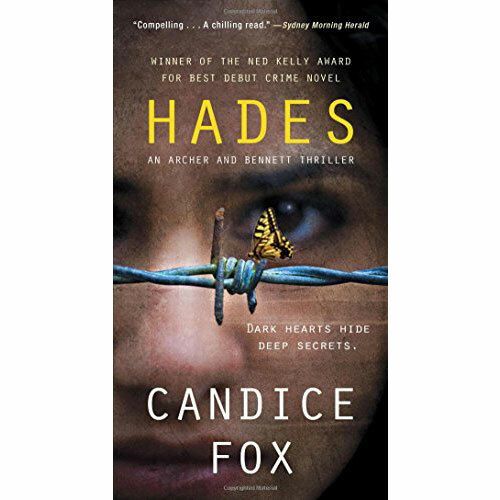 So, read it if you like to see the connections between historical writings and present day political events and if you enjoy long-winded explanations with lots of references to other writings. Skip it and find his list online if you just want the highlights. Skip it totally if you would rather argue politics (just not with me). 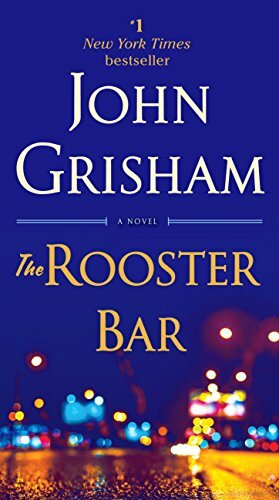 John Grisham – Rooster Bar – No shocker that Grisham’s characters are in the legal profession – sort of. A group of law students entering their final semester suddenly realize that going deep into debt to attend a crappy law school doesn’t give them instant access to lucrative careers. They can’t blame themselves, so everyone else must be at fault and they set out to exact a convoluted revenge. P.S. – In fairness, Zola is a terrific character and I wanted her to be the center of the story. She is a legal U.S. citizen, but her parents are not. They are caught up in an immigration enforcement sweep and shipped back to a country they barely know. Their story is heartbreaking and riveting. I just wish it had been the focus of the entire novel. (1) Publish THREE novels. The Lottery will come in January, Lost and Found over the summer, and, if I can keep things on track, Aftermath should hit the shelves in November. Wow, that is quite scary to see in writing (and, yes, now I have publicly mentioned two upcoming novels for the first time). (2) Read 100 books – I read 102 books in 2017 and will be in the mid 90’s for 2018, so I think it’s reasonable to set a nice round goal of a hundred for 2019. (3) Publish more short stories and photographs than I did in 2018. Ok, sure, that’s a little wimpy because I haven’t been specific enough, but it’s still measurable. So what are your goals for 2019? How many books do you plan to read (I can suggest three – grin)? What really out there goal are you setting that you’ve never tried before? Feel free to share them (nothing like going public with your goals to put the pressure on). P.S. – Don’t forget to subscribe to the newsletter. Then you can go ahead and check that New Year’s Resolution off your list. See how helpful I am? I am so excited about your book!!! I’m trying to decide on my goal for reading next year. I’ve read 78 this year. However, the first few weeks of the year, I was unable to walk much and only working part-time since I was still recovering from my Achilles tendon surgery. I think I’m going to go for 75. Of course, my other goal is to lose the weight that I gained while sitting around recovering from my surgery. I was going to set my goal at 7 books a month (84 for the year) which is roughly the pace I have been running lately. But then I decided to just go ahead and round to 100. I don’t worry so much about hitting for the goal as striving for it! I’m also trying to read more books by authors I have never read before. I can get too comfortable reading authors I know I like and don’t test myself.